To play and edit MOV files in LoiLoScope, it is necessary to install QuickTime on your PC. 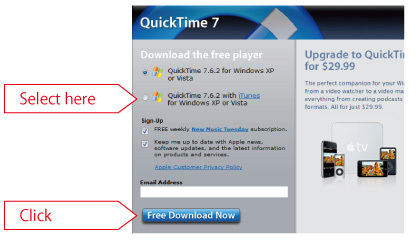 Please follow the installation instructions below to install QuickTime on your PC. 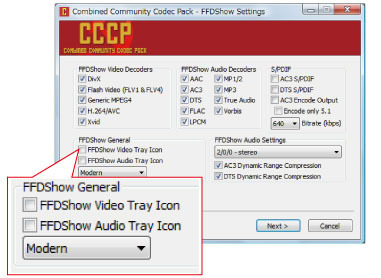 To play and edit FLV files in LoiLoScope, it is necessary to install CCCP on your PC. 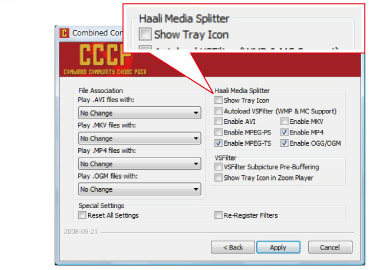 Please follow the installation instructions below to install CCCP on your PC. Make sure to confirm the installation and the setting instructions. 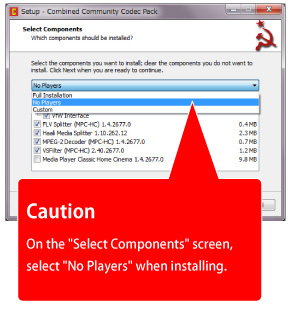 Select "No Players" from the pull down menu when installing. 2. Proceed to the CCCP set up after the installation has been completed.